Financial technology company S3 Partners has shared that Apple has become the most shorted stock in the days leading up to its special event. At a total of $9.8 billion in short orders, it still only accounts for a very small amount of Apple's trillion dollar market cap. 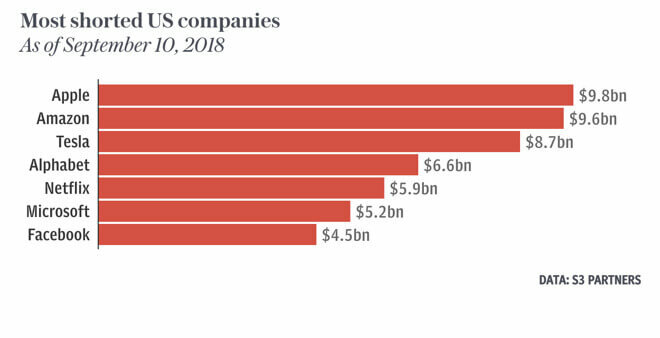 Just behind Apple, the next six heavily shorted companies are all tech giants. Amazon, Tesla, Alphabet, Netflix, Microsoft, and Facebook follow behind Apple. Tariffs are a major concern for investors in Apple and other tech companies as President Trump continues to speak of adding additional taxes of up to 25 percent on certain electronics. This combination along with increased publicity over Apple's iPhone launch event have caused increase trade volume over the past few days. Undoubtedly, Apple is still going to rake in billions from its product launches this holiday season. Aside from three new iPhones, Apple could also unveil a new watch, AirPods, iPads, wireless charging pad, or possibly a new Mac Mini. While the iPhone is Apple's cash cow, its accessories and compatible products line the wallets of investors and executives even further. Barring any unforeseen problems, Apple has a large number of new products ready for deployment into the market. 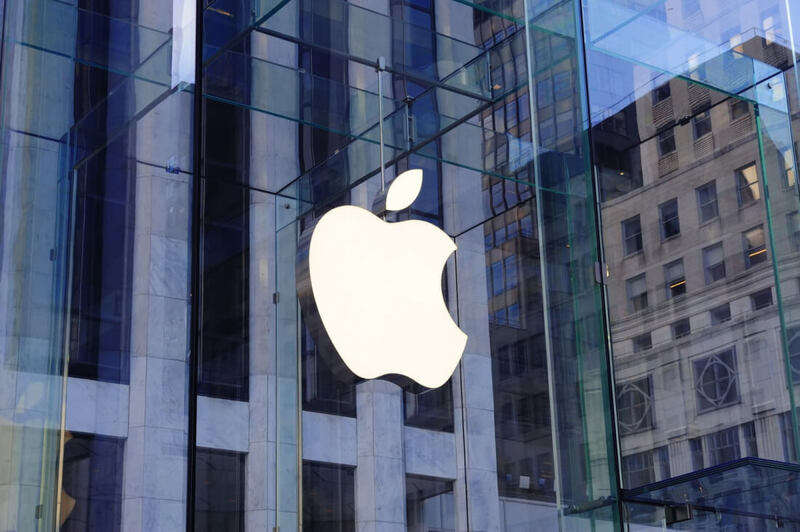 Catch the latest updates today at 10:00 a.m. PDT / 1:00 p.m EST on Apple's live stream of their special event. It is available on Twitter, via Apple TV, and Apple.com. Excessive shorting is usually a sure indicator of being overvalued. If these new launches don't impress we can expect Apple to dive. Clamyboy74 and Reehahs like this. Of course it will "impress." Even if the new products are mediocre. This is because of all the fanboys/girls out there. They measure there self worth based on what they have. Much like Gucci and designer brands, they want APPLE to feel good about themselves. I went into a coffee shop and pulled out my PC laptop. I looked to my right and I saw three macbook pros only. I looked to my left, another 3 macbook pros only. People are crazy stupid and will pay double just to get status and feed their egos. Instead of being good to one another and doing good deeds to earn God's grace they need to buy overpriced designer products to feel good about themselves. It's the same reason why goverments spend trillions on military and don't have free healthcare nor education. Sick world we live in. Shorting AAPL has nothing to do with either imaginary overvalue or the quality of the products. Apple stock almost always runs up before a planned company event and then dips just after. For about a decade now. Since AAPL doesn't' seem to have tanked over the past 10 years, overvalue is hardly at play here. This is just the stock sharks feeding on the minnows and will continue for as long as AAPL makes $$$$$ hand over fist. Same goes for the other FAANGs. Or you could live your life and not compare yourself to everyone else out there. Don't waste your time judging other people, just enjoy *your* experience, man. THIS is the problem with Apple and some other companies. the stock price, than the products they produce. What's your evidence for that? It doesn't seem that Apple is just mailing it in, they seem to have come up with a thing or two to talk about at their event. Improving products in their most in-demand lines and people seem to be buying them. Not sure what your point is.